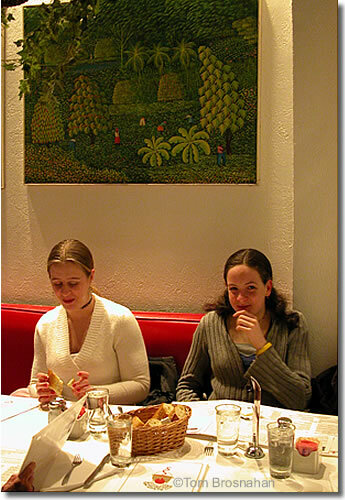 If you're in New York City to see a Broadway show, you need a restaurant like La Bonne Soupe, 48 W 55th St (tel 212-586-7650): unpretentious, comfortable, attractive, inexpensive, with light supper fare such as hearty soups, quiches, salads, stews and a few main course choices. 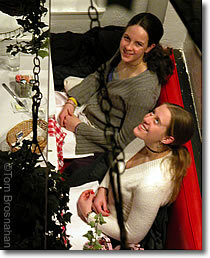 The staff knows the curtain goes up at 8 o'clock, so all is efficiency: seating, ordering, serving, settling. We're out the door in plenty of time to stroll to the Gershwin Theater a few blocks away.